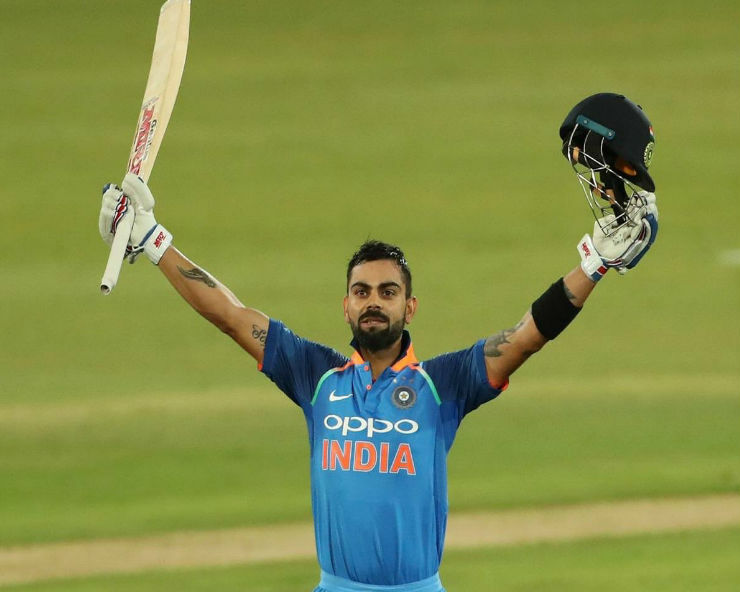 Dubai: Team India captain Virat Kohli has retained the world’s highest-ranked batsman in the MRF Tyres ICC Player Rankings for ODI. His team-mate Rohit Sharma is second and Ross Taylor is third. India’s Jasprit Bumrah is the number-one ranked bowler in the world. He is followed by Afghanistan’s Rashid Khan and India’s Kuldeep Yadav. In the ICC Player Rankings for ODI Batsmen, West Indies’ Shai Hope has achieved his career-high ranking to date. The right-handed batsman has jumped 17 places to eighth after finishing as the leading run-getter in the series with 297 runs. Bangladesh’s Soumya Sarkar, who was one of the four batsmen to score over 100 runs in the series, has gained 10 places and is now ranked 42, but Shimron Hetmyer has dropped 14 places to 40th after managing only 20 runs. Bangladesh fast bowler Mustafizur Rahman has broken into the top-five of the ICC Player Rankings for ODI Bowlers for the first time in his career following a stellar performance in the recently concluded ODI series against the Windies, which the home side won by 2-1. The 23-year-old left-arm bowler has rocketed five places to fifth in the latest rankings following his five wickets in the series. Mustafizur has been awarded 24 points for his efforts, which means he now trails fourth-ranked Kagiso Rabada (702 points) by seven points. Off-spinner Mehidy Hasan Miraz has also achieved a career-high ranking. His six wickets in the series have helped him vault 19 places to 28th position, while captain Mashrafe Mortaza has moved up 10 places to 23rd after finishing as the joint leading wicket-taker with Mehidy. For the West Indies, Oshane Thomas and Keemo Paul have headed in the right direction. The two bowlers collected four wickets apiece, which have put them in 146th (up by 28 places) and 179th (up by 53 places), respectively. In the all-rounders’ category, Shakib Al Hasan has moved up one place to second after scoring 95 runs with the bat and taking three wickets. This display with the bat and the ball meant he gained two places in the batting table and three in the bowling order, moving to 33rd and 26th positions respectively. Shakib now trails number-one ranked Rashid Khan of Afghanistan by just one point, while he leads third-ranked Mohammad Nabi of Afghanistan by 15 points. Meanwhile, both Bangladesh and the West Indies have retained their pre-series rankings and points in the ICC ODI Team Rankings. Bangladesh started and finished seventh on 93 points, while the West Indies started and finished ninth on 72 points.